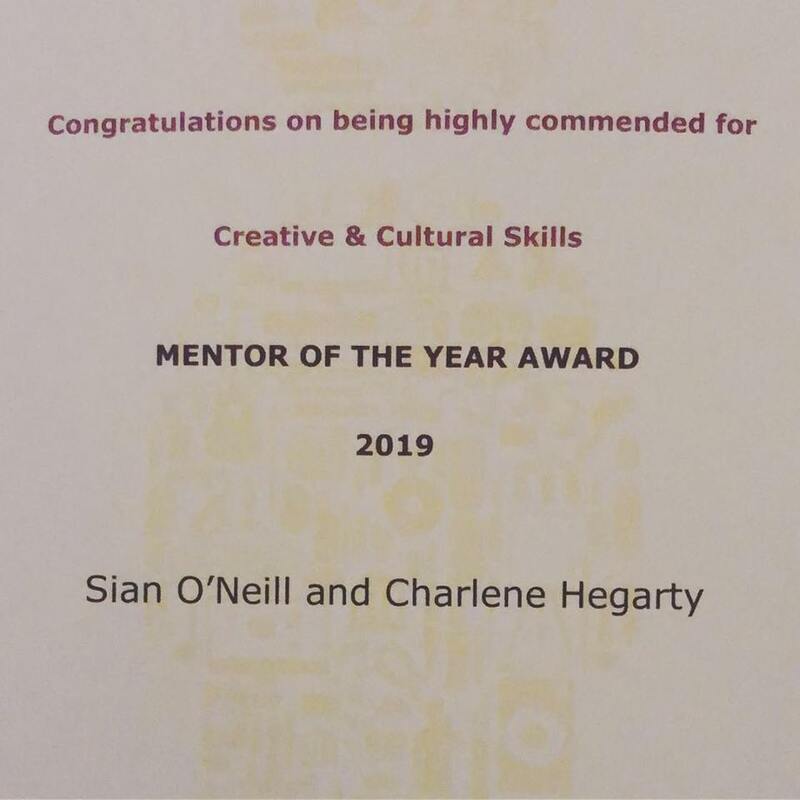 We’re very proud of our two team members Sian Mulholland and Charlene Hegarty who were shortlisted in the Mentor of The Year category for 2019 UK Creative & Cultural Skills Awards. 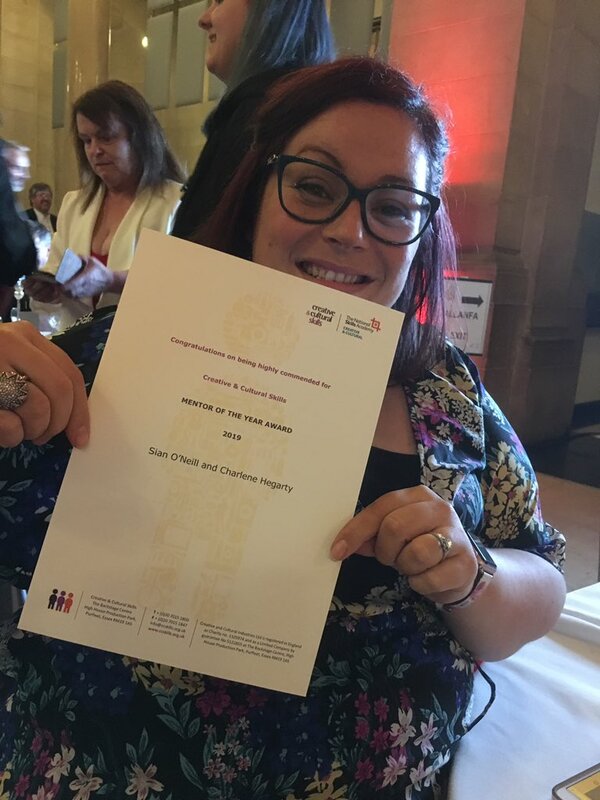 They came away with the Highly Commended mention in that category for their passionate work with young people here at Oh Yeah Music Centre, i.e Volume Control and More Volume. 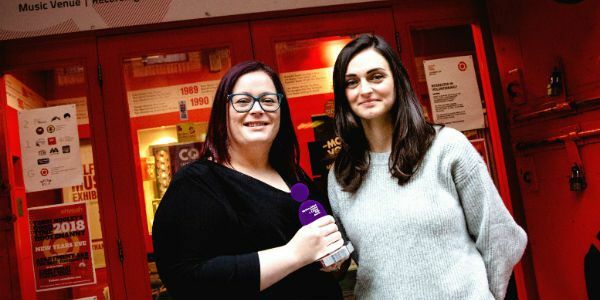 It’s a great representation of Northern Ireland in the UK Creative and Cultural industry! 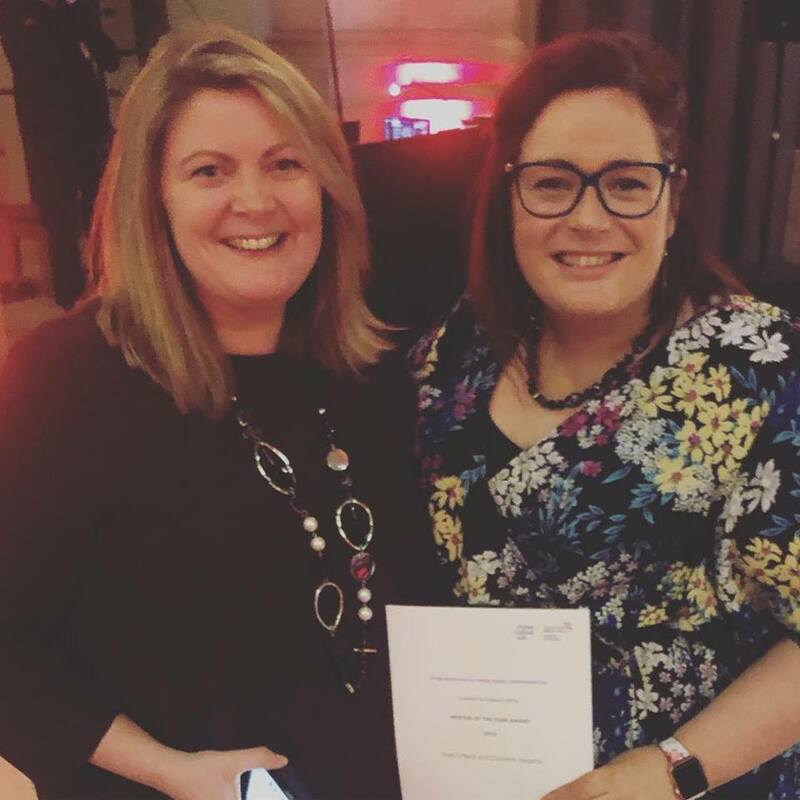 CEO Charlotte Dryden and Youth Engagement Manager/nominee Sian Mulholland went to Cardiff on April, 1st (no joke) to get the precious prize at the 2019 UK Creative & Cultural Skills Awards ceremony.